Divi Blog Extras Module adds Beautiful Divi Blog layouts in your Divi theme. All layouts are fully responsive. With different available layouts you can setup your blog layout in a few minutes. 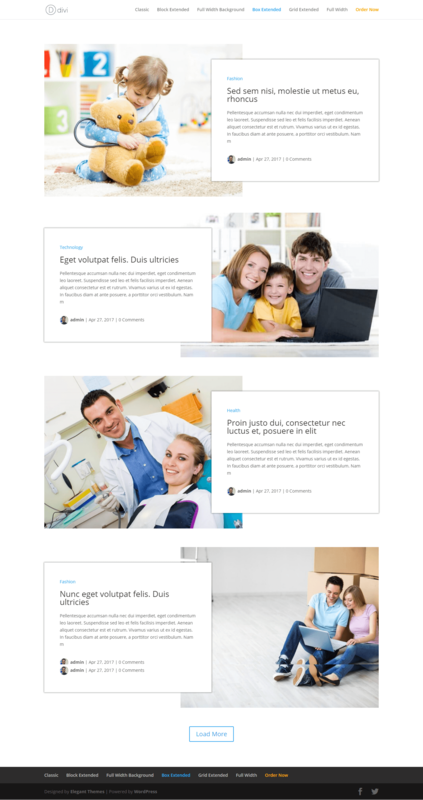 Divi blog extras module will add beautiful divi blog layouts in your Divi theme. All layouts are fully responsive. 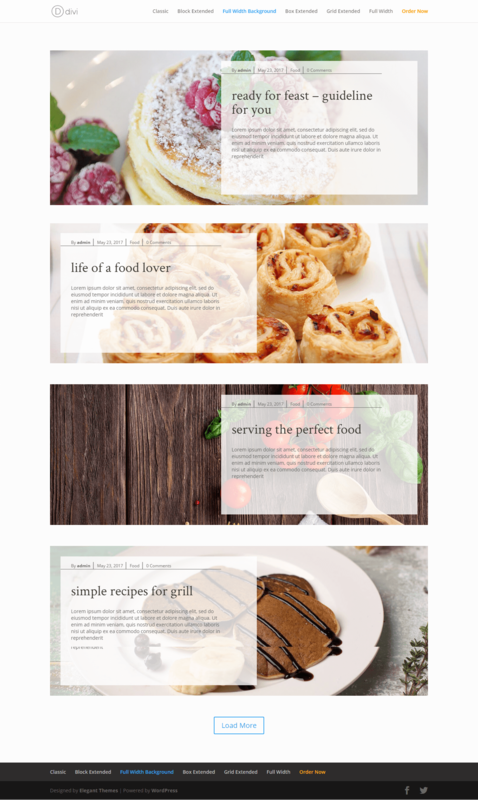 With different layouts you can setup your blog layout in a few minutes. This plugin is 100% Divi theme supported and have Ajax load more functionality to display unlimited posts. With regular updates, ease of installation and modifying, you can design your divi category layout page as you like to give it a WOW factor. Divi Blog Extras offers ‘Select Specific Category’ and ‘Select number of posts to display’ options from where you have a full control to select the posts you would like to display of any particular category.